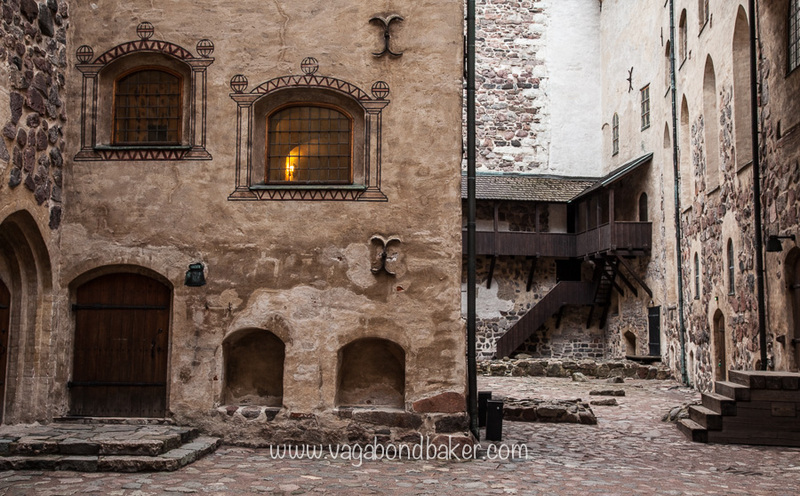 Turku Castle (Turun Linna) has seen its fair share of battles and sieges, a sturdy fortification dating from the 14th Century at a time when Finland was part of Sweden. 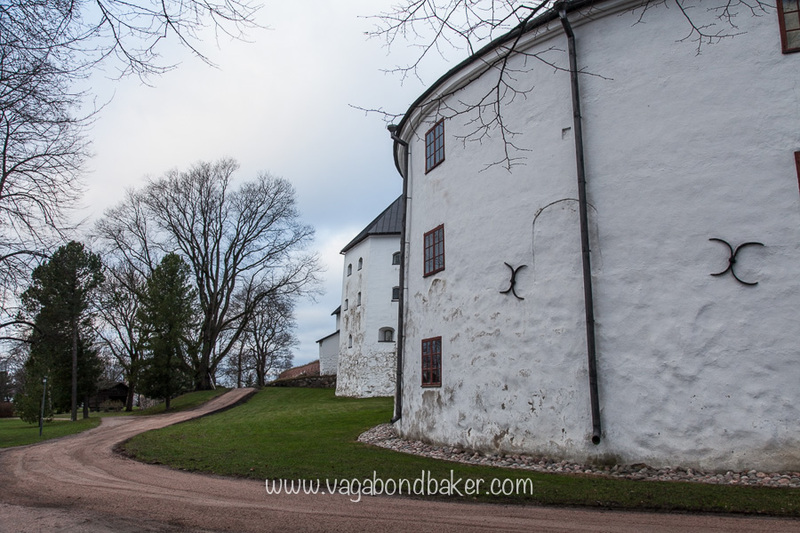 It has played castle, grain store and prison over the centuries, suffering from attacks, fire and bomb damage. Today it has been renovated and is an excellent museum. The castle stands strategically at the edge of the Aura River as it spills into the Archipelago Sea, right next to the modern ferry terminal. It was a five-minute walk for me staying at the Laivahostel Borea, on the river nearby. 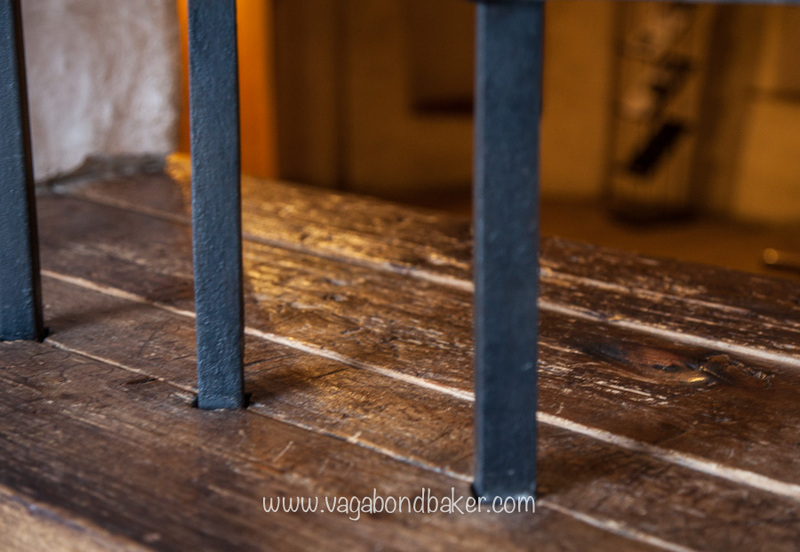 After visiting the sparse, yet interesting Kronborg Castle in Denmark a week previous to this I was kind of expecting much of the same but I couldn’t have been more wrong. 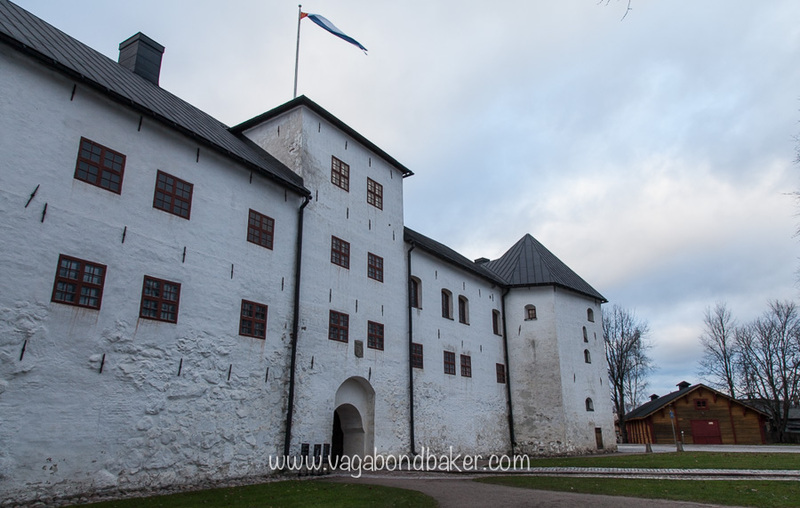 I spent over three hours exploring Turku Castle! My goodness, there are so many rooms! I began in the bailey section where there is a fascinating museum showcasing a history of the south-western corner of Finland. I ended up learning a lot about Finnish history and there are many lovely, quirky objects to look at like fierce-looking wolf collars to protect dogs from their wild cousins and cooking and baking equipment. The butter moulds (I think they were for butter) caught my eye and the cookie cutters are just my cup of medieval tea. I discovered that animal pelts were used in place of money: the white, ermine coats holding the most value. A blood thirsty currency if ever there was one! Equally as interesting was a display about butter. 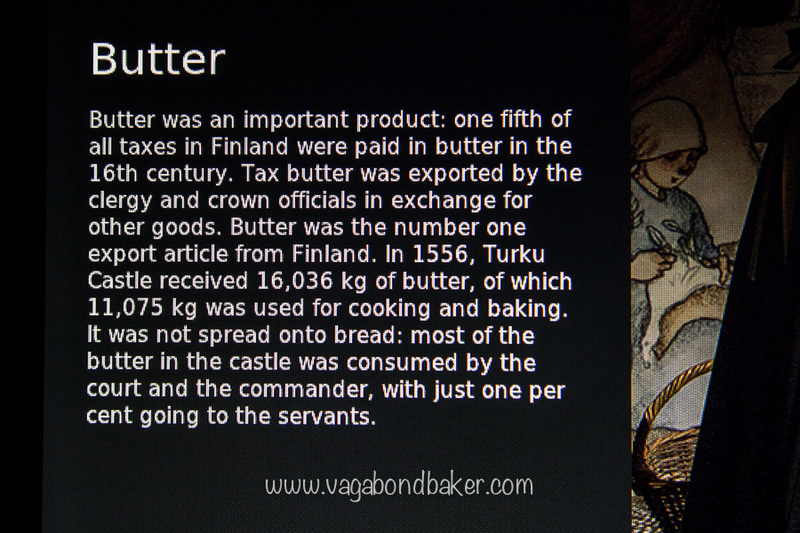 According to the label, in the 17th century a fifth of all taxes paid in Finland was paid in butter. Now that’s a currency a can understand, I just love the idea of Tax Butter! There are a few dioramas with full size models, the most elaborate is a medieval feast complete with a dressed peacock and a rabbit frozen in time leaping out of a pie! A snoring soldier model spooked me, I thought it was someone really snoring! 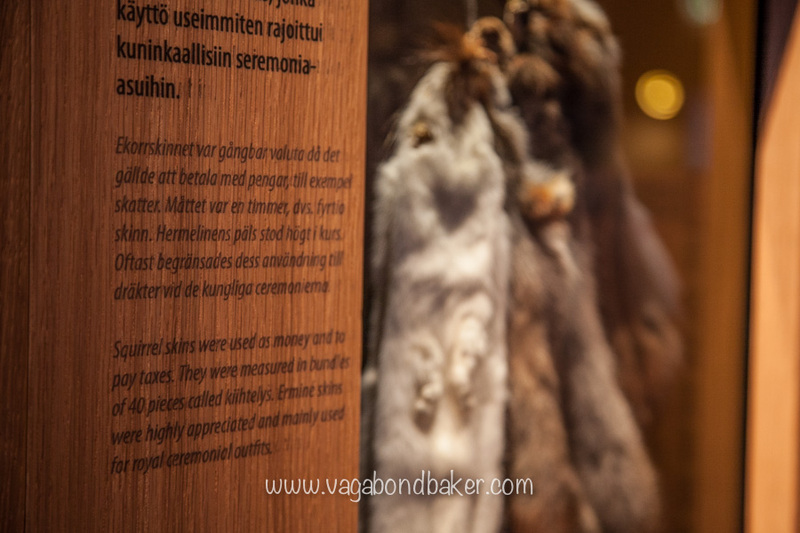 Squirrel pelts were used as money…. and tax was paid in butter! There were only a few people looking around the castle, although there was a rowdy young school group and I was besieged in King Erik XIV’s prison cell as they filed past. One little girl wished me a cheery “Moi!” (Hi!) as she passed me! The Swedish King had been overthrown by his brother and imprisoned in the cell where his elbow wore an indentation in the windowsill. Erik had pursued Queen Elizabeth I for a while, and in later years had been declared insane , he’d even gone on a bit of a killing spree! Erik’s elbow apparently wore down that indentation! 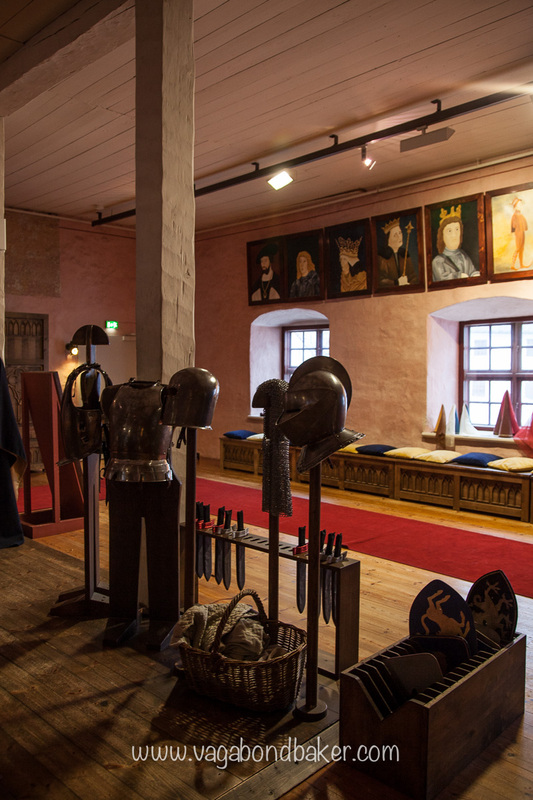 There is a fun room where children can dress up and knights and princesses, I’m sure that school group must have brought this room to life. 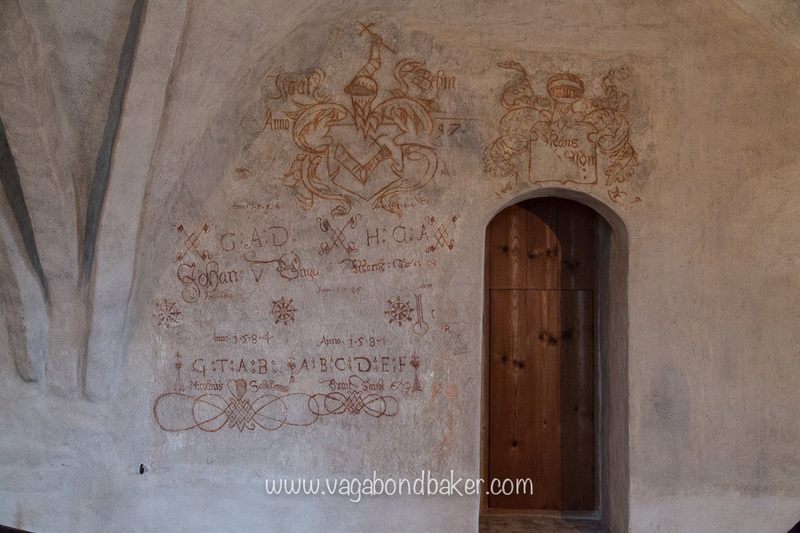 The renovations had revealed some wonderful graffiti dating from 1584, this was a joy to find as I wandered around. 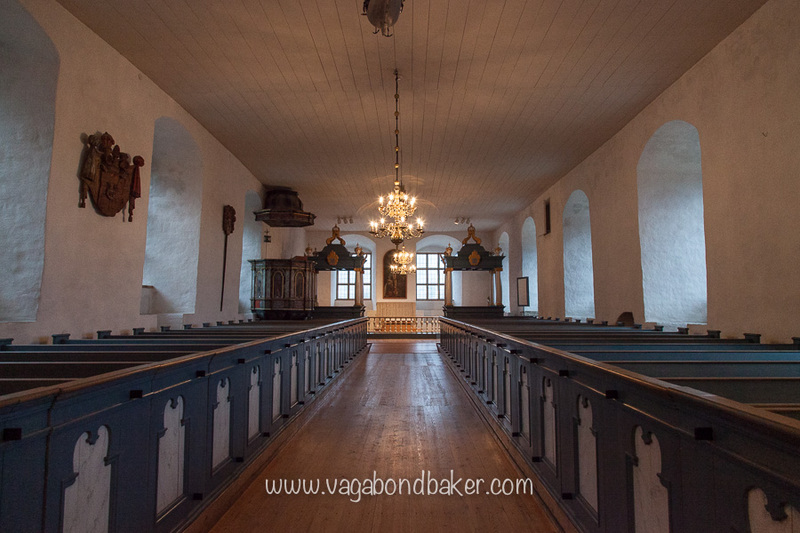 I got chatting to the guide manning one of the old chapels within the castle, he explained that the chapel had been damaged during the fire in the 1600s and then suffered further incendiary damage during the Continuation War in 1941. With his explanation I could see what was original and what was restoration. 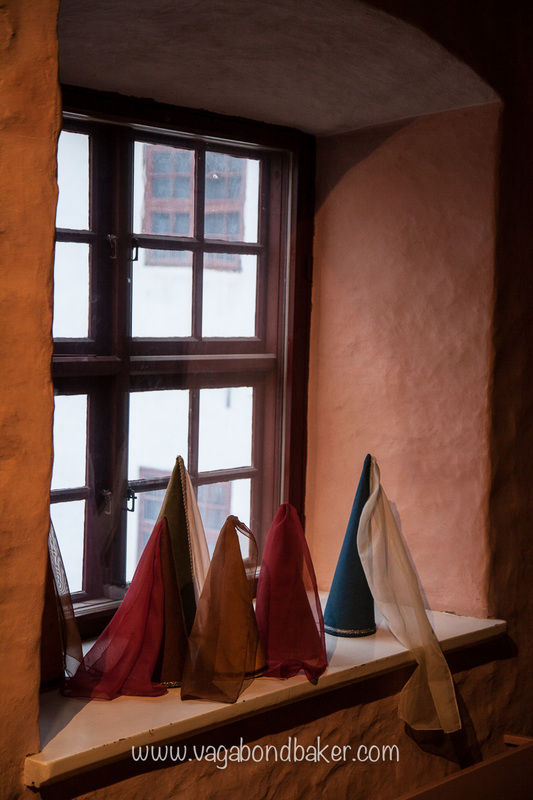 There are many rooms in the upper levels of the castle that are decorated in different styles and eras: windows into the history of the castle. The Renaissance Banqueting Hall is used for public functions and the Church is a poplar place for local weddings. There is a restaurant where you can break up the exploration if needs be, and a gift shop. 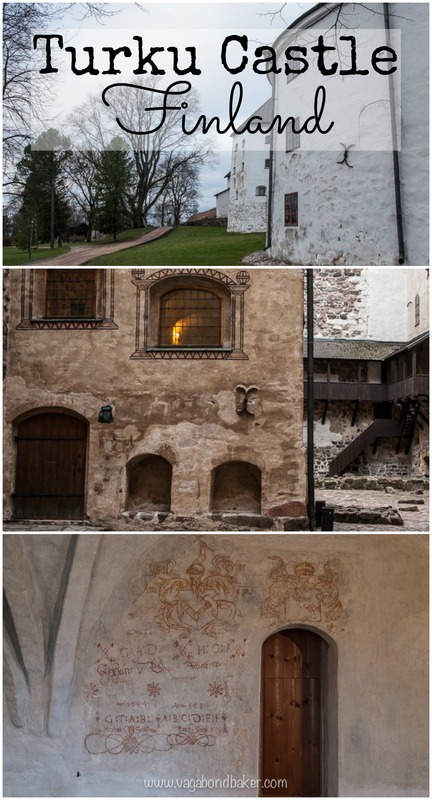 Turku Castle cost me €9 to enter and it was worth every euro cent, there is so much to see, experience and learn. 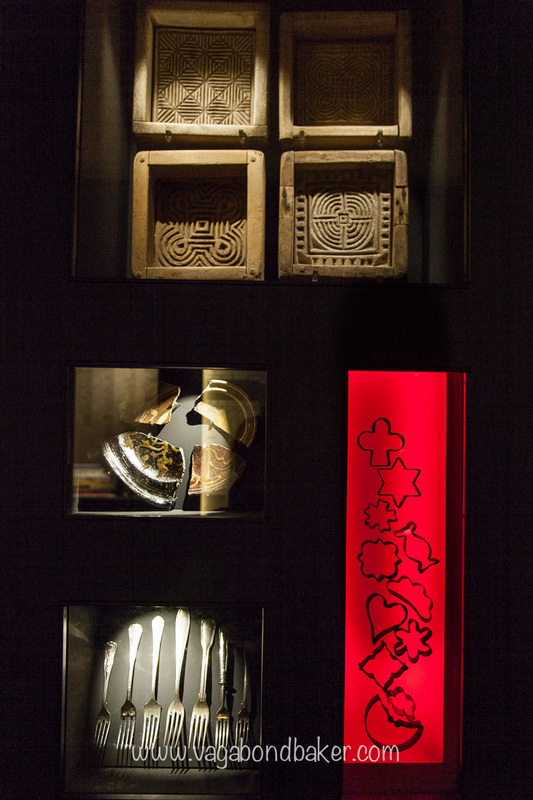 The museum is well labelled in Finnish, Swedish and English, and you can download an audio guide too. It is a Turku must do! Just make sure you give yourself plenty of time (it’s closed on Mondays). Turku: I Bloomin’ Well Loved It! I arrived into Finland on a ferry, my first few Finnish experiences! 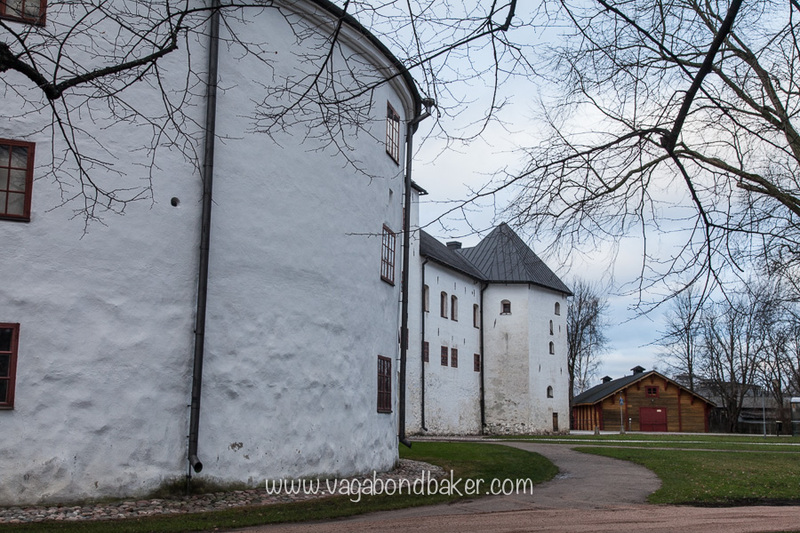 Day Trip To Porvoo This pretty town is the second oldest in Finland. Beautiful Frozen Helsinki Returning to Helsinki at -25º, incredible! Runeberg Cakes I ate one of these delicious Finnish cakes in Porvoo and couldn’t wait to bake them back home. Tampere: Finnish Sauna, Finnish Food and Finnish Snow my friend introduces me to Finland culture! What’s your favourite fact you’ve found in a museum? Can it beat Butter Tax?